Beau-coup is one of the leading online boutiques for elegant party favors. I could spend hours browsing through this website. If only it existed when I was planning my wedding nearly a decade ago. While looking through Beau-coup's selection of holiday items, I see so many things that would be beautiful for winter wedding favors or holiday party favors. A crystalline snowflake theme would be exquisite. 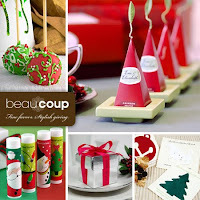 When it comes to holiday parties, I personally prefer vivid reds over pale blues. Red is my favorite color all year round. I would love to show up at my cousin's house this year with a large platter of 5" decorated holiday cookies for the children, custom chocolate dipped fortune cookies with holiday wishes printed on the fortunes for the adults, and personalized chocolate coins in red, green, and gold foil for all the guests. What would you bring as a gift for your hostess? For a limited time, you can receive Free Ground Shipping on orders over $150 when you use Code: BCFREESHIP. Thank you to Beau-coup for providing a gift card for our contest prize and another gift card as a thank you gift to me for participating in this campaign. 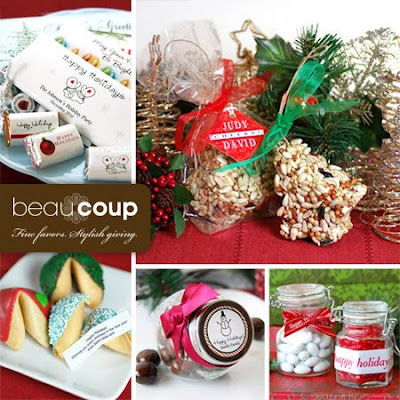 One lucky reader will receive a $75 GC to Beau-coup Favors. 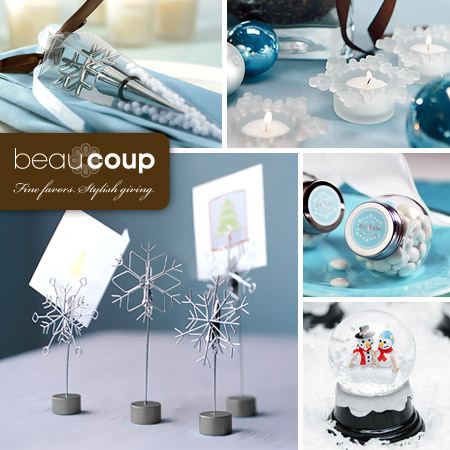 Browse through the elegant products offered on Beau-coup.com . Then leave a comment telling me how you would spend your $75 GC if you won this contest. You MUST do this to be eligible to win this contest. 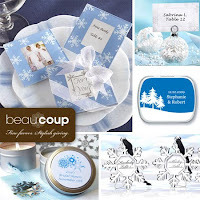 3) For 10 extra entries, blog about this contest linking back to this post AND Beau-coup.com . Then come back here and leave TEN separate comments with the link to your blog post.